Hi everyone, Brian Anderson here from snowy Milwaukee. Welcome to our online chat. I’m anxious to answer your questions today. jakal351: Who do you think should be the Opening Day starter? 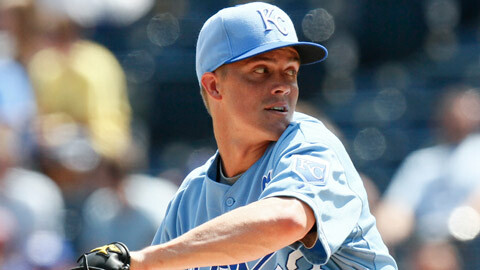 Anderson: I think Zack Greinke will be the Opening Day starter. Ron Roenicke hasn’t committed this early in the game but a CYA (Cy Young Award) always helps the decision process. mktk4: How do you see the Brewers’ bench and bullpen shaping up this year? Anderson: The bench and the bullpen are the weakest links. But I think most MLB teams feel that way. I like the potential of Axford closing games with two vets (Saito/Hawkins) setting up. 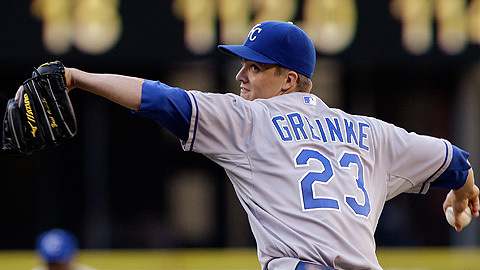 Anderson: Greinke, Gallardo, Marcum, Wolf, Narveson. I think it’s probably, on paper, the strongest rotation in franchise history. We’ll see how they perform. johnjv: I’m excited about this year’s team, with the changes and pitching that seems in place. What do you see as the starting lineup to start the season? jakal351: Roenicke said he was going to run and run often. Do you think he will stay with that mentality as the season progresses? Anderson: Yes I do. He’s a man of his word and he has strong opinions about aggressive baseball putting pressure on the opposition. Mollybhappy: Any word on what is going to happen with Prince? Will he leave the Brewers? Anderson: I expect Prince to be a Brewer and a major contributor in 2011. Hopefully, he’ll decide he wants to stay long-term. He’s certainly earned the right to test the free agent market next winter. sagunsky: How did you become a play-by-play broadcaster and when did you know that it was a job for you? Anderson: I wasn’t good enough to play at a professional level. Broadcasting was “plan B.” I was hired in 1994 by the San Antonio Mission in the Texas League to work the middle three innings. I think I made $25/game … which is about what I was worth that first year. The best plan B ever for me! BrewersLoyalty: Hi Brian. With the need for depth in the modern pitching rotation, why did the Brewers not bring back Chris Capuano? Anderson: Chris was a free agent and wanted more of an opportunity to start instead of relieve. The Brewers would’ve loved to have him back but could not make that promise. Chris is a smart guy and saw a better opportunity with the Mets. He’s a great story and I wish him well. lynerz: How does your wife manage the kids when you are always on the road in the summer months? Anderson: Is this my wife? Kidding. She’s amazing. She keeps everything in order at home while fighting an auto-immune disease. She’s my hero, believe me. We’ve been doing this dance for 17 years now. Can you believe it? archerbarb: I love when you and Rock talk about your personal life … is that uncomfortable? Anderson: Not at all. We are part of your family nightly for 7 months. I think we owe it to our audience to open up since we are invading your space so much during the baseball season. johnjv: Do you anticipate that terms will be reached with Rickie Weeks before the season starts? Anderson: Yes. That process has already started. I know Rickie would like to stay and the Brewers would like to keep him. If the $ works out, I expect him to sign a long-term deal. I think he’s one of the most underrated Brewers in the lineup. He is a force with the bat and as strong mentally as any athlete I’ve ever covered. mraasch: What are your thoughts on Betancourt? I thought the SS part of the trade was a push, or maybe a bit better for KC, but I am hearing a lot of people saying Betancourt is a terrible player. Anderson: I’ve heard he has great tools, plus power as **** and a strong arm. Concentration has been an issue, which would explain why he’s thought of as “average” at the position. Roenicke’s strength is reaching players and Betancourt will be a good case study. nate1984: How many more seasons do you think Craig Counsell has in him, and do you think they’ll be with the Brewers? Anderson: Counsell might be the Jamie Moyer of position players. He remains in great shape and such a valuable part of a team. I’d like to see him put a 3rd ring on his finger! struedel: Do you and Bill always get along? How close have you ever come close to blows in the booth? Anderson: Always. Rock is one of my best buds and I’m lucky to be paired up with him. I think he’s a terrific analyst. He smells, though. 000jac1: Brian, do you think with overall talent, pitching and hitting that we are ready and can make it to the World Series? Anderson: Yes. As I said in a recent blog, I think the Brewers have the “bones” of a championship team. mktk4: Earlier you answered my question regarding the bullpen, but what about the bench? Anderson: Oh ya, sorry … the bench could use a power bat. It’s trending too left-handed again but there is still time to pick up someone. It’s hard to sign utility/bench players because playing time is limited with the current group of young stars. If the bench and middle relief are your biggest concerns, you’ve got a good club. hof90: Do you think Carlos Gomez is capable of being the everyday center fielder, providing he gets on base at least once per game? I think we all are excited about the pitching but have concerns in center. Anderson: Not from what I’ve seen but he is such an incredible athlete, who knows? He’s still young and worth more opportunities. I love his attitude. Great energy. Great teammate. If he hits a little, look out. Such a game of confidence. struedel: What’s the plan for when you need to interview Takashi Saito? trublucrw: Can you give us a scouting report on Saito? Anderson: RR will have to be careful with Saito. He still has great stuff but probably can’t go to the whip in consecutive games. Everyone I’ve spoken to about Saito says he’s a riot. Can’t wait to get him together with Uecker. Sounds like a Miller Beer commercial in the making. cooptown1: To say that I am excited about the Brewers this year is an understatement, but I am concerned about the long-term effect on the team the trades may have. What are your thoughts? Anderson: I say don’t worry about that. You’ve got a great owner, great fan support and plenty of opportunities to develop and win. The Brewers have an abundance of picks in the first two rounds of the June Draft and some rising stars in the lower-levels. Plus, the big league players are still young and talented. Sometimes you hold ’em, sometimes you fold ’em and Doug Melvin made some great moves this winter. nate1984: Congrats on your postseason game-calling so far, you’ve seen some historic stuff. Is that something you plan to continue? Anderson: Thanks. It was an honor to be a part of Halladay’s no-hitter. I am planning on doing TBS Sunday and postseason games again in 2011. I’m blessed that the Brewers allow me to do both. As was the case last year, the TBS games are mostly in the first 2 months. I want to be around for a Brewers pennant race! lisaleelee: What is your favorite city for away games? Anderson: Houston. Tex-Mex and Cajun food, one of my favorite golf courses (Shadow Hawk CC), mosquitos the size of buzzards, big booth and a roof with AC inside. lisaleelee: Do you miss Bill “Rock” Schroeder and have you seen him since the end of the season? Anderson: We talk all the time. I’m attending Brewers Fantasy Camp this year, which Rock runs, so he’s been harassing me about being old and out of shape. He runs the best fantasy camp in baseball and I’m looking forward to injuring myself again with some long-time friends. streusel_2: Why do players during postgame interviews give shaving cream facials to players? Can’t they get a real cream pie? It’s the Major Leagues, shouldn’t one be on hand in the cafeteria? Anderson: I’m done with pie-in-face … time to come up with something else. rpbrooks: Hey Brian. With all of the offseason acquisitions — pitching most notably — do you think Axford should grab a “Run out” song like Hoffman. I mean, the guy has to be in line for at least 100 saves this year. If so, what song would you recommend? Anderson: Has to be something Canadian … maybe some Tragically Hip?!?! STUD_Lee: How many wins do you think it will take to take the NL Central? Anderson: I’ll go with 94.
lisaleelee: How does the Miller Park broadcast facilities compare with the broadcast facilities of other ballparks? Anderson: No joke, the best. Huge booth in a perfect location to see the game, great food, easy access to the field. There is nothing like coming home after a road trip and re-connecting with our crew in Milwaukee. johnjv: How is Ueck doing? Look forward to hearing his great voice and commentary. Anderson: Bob is doing well in Arizona. He’s a tough old dog to go through all that and still be on his feet. I’m anxious to see, and hear, him again. In other news, Cory Provus got married in December. mlowwi: I can’t wait for all the big crowds at Miller Park this year. Is it too early to feel the energy in the city after all the moves this offseason? Anderson: I feel it. Everywhere I go, people are talking Brewers. They’ve sold more tickets in the last 3 weeks than the previous 2.5 months. Miller Park is going to be rockin’ this summer. The new video wall is coming along nicely, 9-packs are soon to go on-sale and the 40 prizes in 40 days for season ticket plans of 20 or more is getting a lot of play. struedel_2: Is Brian Anderson your “stage” name? Seems very generic, like your real name is Kasperitis Romaninski or something and you had to change it. Anderson: My real name is AJ Squaredaway. 10PIN: What is the best way to get started in the broadcasting business? Anderson: You need a second job or you’ll starve. I was a freelance cameraman while I did Minor League Baseball. Make sure you record yourself often and listen with a critical ear. That is the biggest challenge in the beginning. Make a promise to outwork everyone and be prepared. Anderson: My time is up. Thanks for the great questions. We’ll do it again next month. Hope to see you at Brewers On-Deck at the Frontier Airlines Center, January 30. Most of the players will be there. God bless. Something beautiful (and sad) about Miller Park in the winter. Pretty soon those lots will be packed and the ballpark will be alive again. Join me for an online chat Thursday January 6th at 11am. Everyday is a good day for Bob Uecker. Today, is a really good day for Bob Uecker. The Brew Crew is taking on water. Eight straight losses and more questions than answers in mid-May will do that to a ballclub. At this point, you’ll hear things like keep perspective, don’t panic, it’s early, keep plugging away, etc…All true. But, the best remedy might be a good belly-laugh. Only Mr. Baseball can deliver such a potion in times like these. Bob is recovering nicely from major heart surgery. He said he wanted to have the procedure done quickly so he wouldn’t “take a dixie” on the road! The road is a little “dixie” without him. He asked us to keep things light and in perspective. Good advice for him. Good advice for the Brewers. I’ve been told Bob could be back full-time around the All-Star break. That doesn’t mean I don’t expect him to show up unannounced before then, maybe in a Gorilla suit. One thing is for sure, in the days leading up to surgery and in the weeks Bob has been away from the team during recovery, everyone on the travelling party has realized the sizeable canyon that was left. 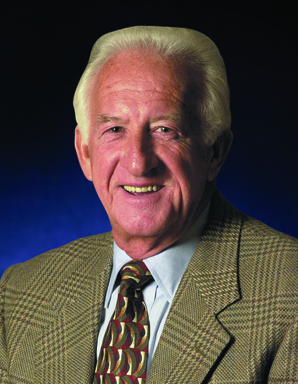 To know Bob Uecker means knowing arguably the most famous personality in baseball. Wherever he goes, even today, he is hounded by adoring fans. I’ve seen autograph seekers blow right past Prince Fielder to get to Uecker. I’ve seen movie stars turn into stargazers with him. I’ve played golf with Bob Uecker. I’ve been on planes, buses and cars with him. I’ve attended functions, shared the microphone and countless of moments “off” the air. His comedic genius doesn’t end with his broadcasts. It flows out of him like a well-watered Chia. I don’t even bother going to stand-up comedy shows anymore. What’s the point? 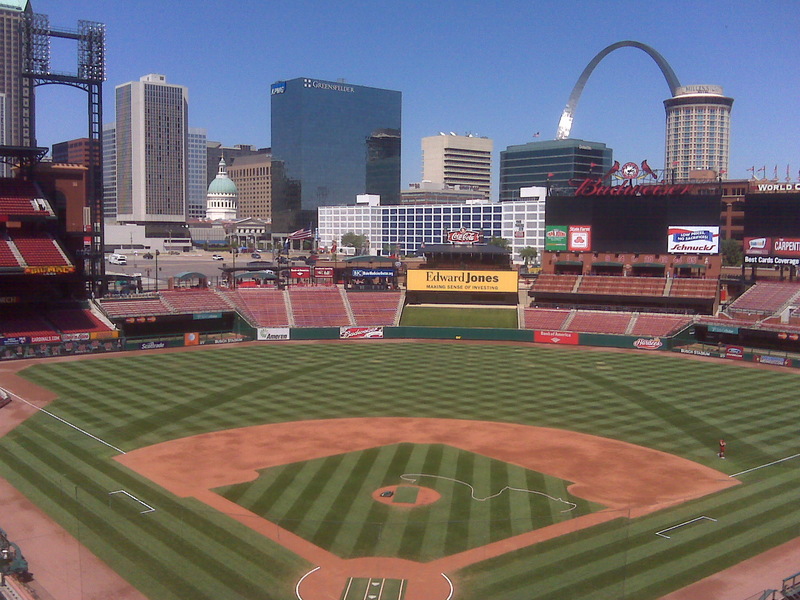 The best 20-minute set in the country happens daily on the 4-o’clock bus to the ballpark with Bob Uecker. The front row sits empty again today. Hopefully soon, the doctors will clear the way for Uke to re-join the party. The doc’s should take into account what’s best for our health, not just his! A great artist needs a showroom. Thankfully, there is plenty of wall space in this great game for Mr. Baseball. 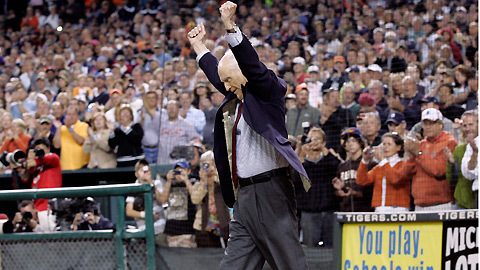 Legendary broadcaster Ernie Harwell passed away Tuesday. While the cancer silenced the voice, it cannot touch his legacy. A legacy of character and faith that outweighs a legendary career. In 2007, I was in my room at the Pfister Hotel in Milwaukee. It was only moments after I had been introduced as the new television voice of the Brewers. My mind was racing with pride and doubt, excitement and fear. I was sitting on the bed wondering what in the world I’d gotten myself into…trying to digest just how dramatically my life was about to change. Then, the hotel phone rang. I picked it up expecting the Front Desk. Instead, a deep, booming, unmistakable voice came pouring through. “Mr. Anderson, this is Ernie Harwell calling from Michigan.” I was shocked and silent. This was a voice I knew well. I had spent hundreds of hours listening to Ernie’s play-by-play. I had a dozen cassette tapes of his games and had mimicked his delivery down to the “looooong gone” during my early years in broadcasting in San Antonio. There was “the voice” on the phone. My first congratulatory call came from my broadcasting hero Ernie Harwell! His call came eight years after I spent a memorable evening with him in Arlington, Texas. Lance Parrish, then the Tigers hitting coach, knew my admiration of Ernie and arranged a meet and greet during a Tigers/Rangers series. We met at the team hotel and five minutes into our conversation, Ernie invited me to spend the evening “shadowing” him at the ballpark. He said, “It might do you some good, if you don’t mind hanging out with an old-timah.” I jumped at the chance and was right by his side from pre-game prep to the post game wrap. Ernie was so gracious and willing to share. But when the day was done, our paths did not cross again – until the phone rang at the Pfister. I have always thought of Ernie Harwell as the perfect broadcaster. Having known him, I found out he’s as close to a perfect man as we mortals can be. Before I met Ernie, I wasn’t sure how to live in this fantasy world without losing one’s family, faith and peace of mind. He kept all of those intact at a “hall of fame” level while soaring to the top of his industry. As impossible as it sounds, Ernie Harwell was a better man than he was a broadcaster. Every time the Brewers travelled to Detroit, I called him. He joined me on the air in 2007 during Justin Verlander’s no-hitter against the Brewers. “That’ll teach ya!” he says. I spoke to him last June and he was pleased to tell me that (at age 91) he just signed a 10 year contract with a 10 year option as a spokesman for a large corporation. Classic Ernie! Ernie Harwell passed away Tuesday at the age of 92. When I heard the news of his illness, I wasn’t sad. I smiled. I know where his “next adventure,” as he puts it, is headed. 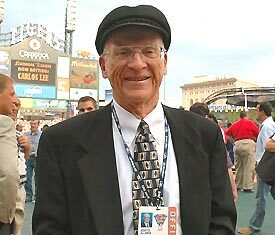 Today, Ernie Harwell fans all over the world, like me, mourn the loss of a great man and mentor. I was blessed to know him. He set a gold standard for character. Mr. Harwell, thanks for taking the time to make an impact on me. I’ll do my best to follow your lead, both on the air and on the ground.